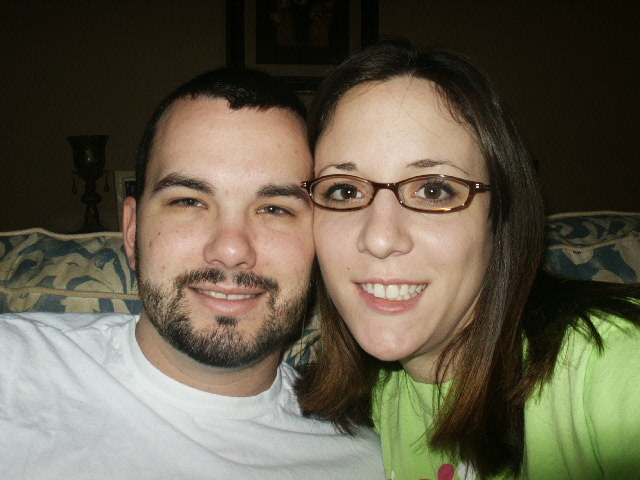 That's right - today is our 9 year wedding anniversary. 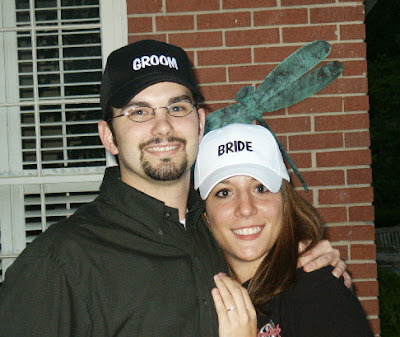 9 years ago today, I stood in front of God, my family, and my friends and pledged my love for a man. I let everyone know that I was head over heels for him, and that I would spend the rest of my life with him. In thinking about this post, I knew that there were lots of different ways I could go about this. I could do a cute little recap of the past year of marriage. I could talk about how awesome my husband is. 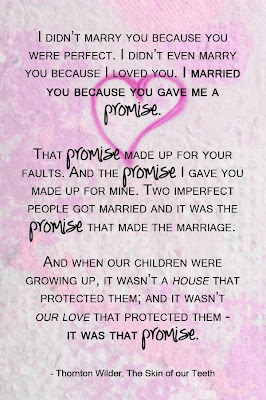 I could let everyone know how amazing marriage is. 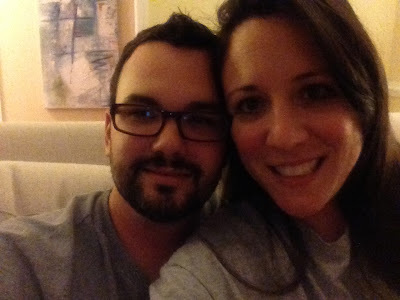 But after 1 year shy of a decade of marriage - I really feel like it's so much more than that. 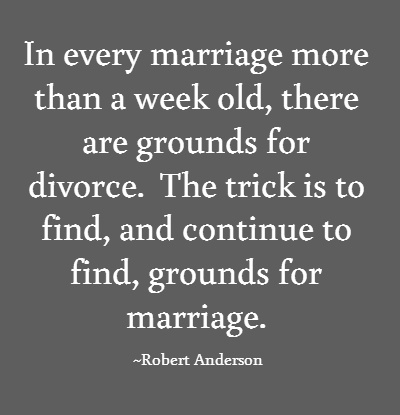 Here's the truth: marriage is hard. Matt and I got married really young. I had just turned 20 and he was 24. We've been through countless jobs. We've been through lots of years of college. We've been through losing friends. Family drama. Having a baby. Losing a baby. Friend drama. Depression. Ups and downs with work. Ups and downs with our marriage. Having another baby. Growing from barely adults to being in our (almost for me!) 30s. And a lot has changed over the last 9 years. I could tell you about how wonderful marriage is and how it's the best decision of your life. And it would be true. For some parts of it. But the truth is, it's not always like that. 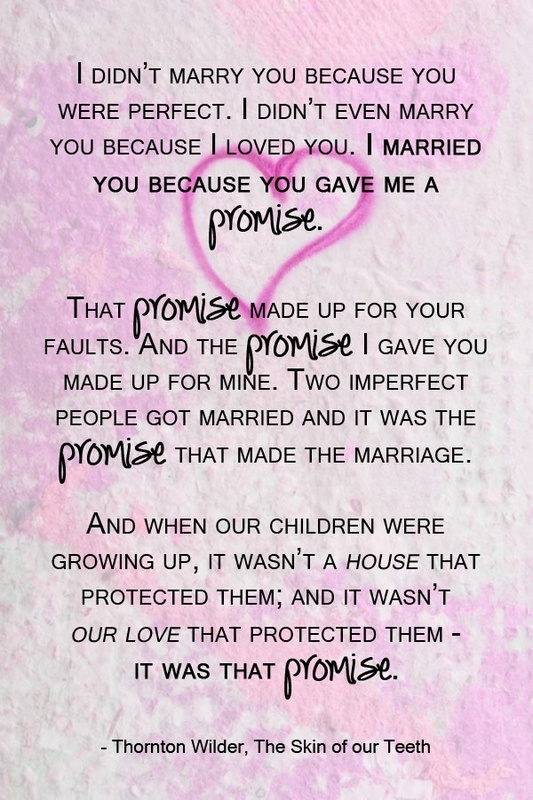 Marriage is a commitment. It's one that you have to make every day. It's something that you can't give up on. The minute that you stop trying is the minute that things can start to slip away from you. 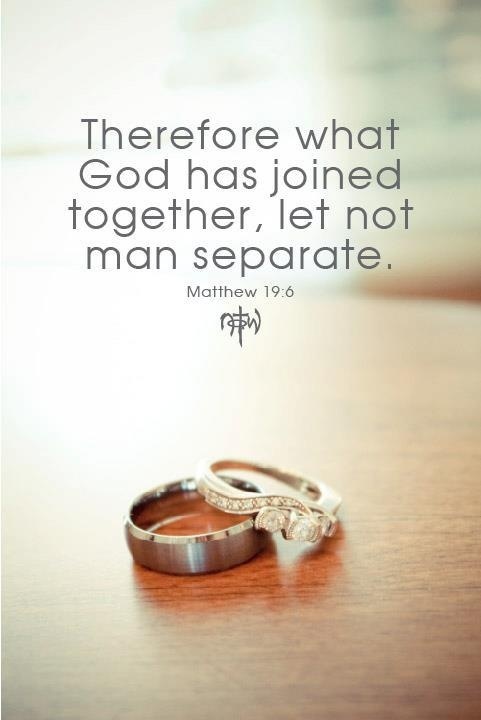 I feel like our society makes marriage out to be this "feel good" things. And while it can be, it won't stay that way forever. 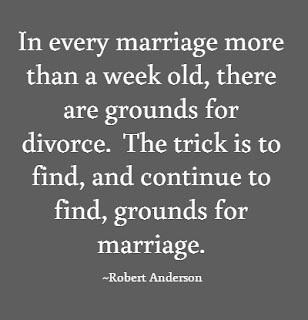 I think that's why the divorce rate in our country is so high - people have been taught to literally get going with the going gets tough. 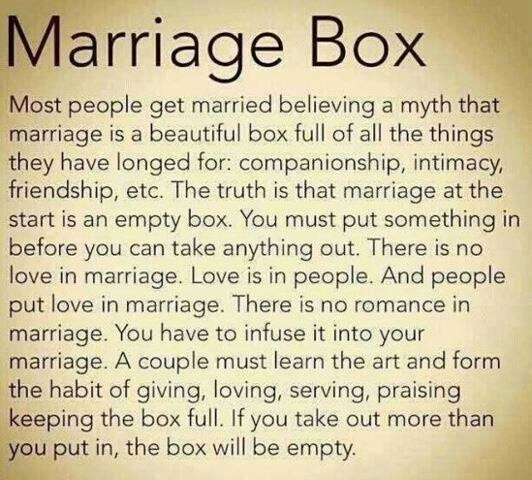 And that's not what real marriage is all about. We've been through a loooot of downs in our marriage. Some that were so low that I didn't know how we would climb out of it. There were days that I knew in my heart that a lesser woman or man would walk out and call it quits. But that's where it's time to talk about a different aspect of marriage: our relationship with God. I can tell you that, hands down, our marriage would not be where it is if it weren't for our relationship with God (both personally and as a couple). 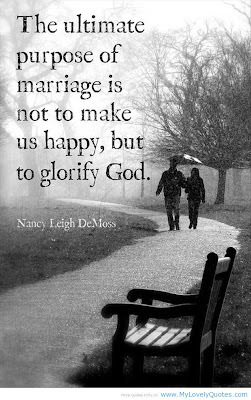 This year more than any other, I have really felt God showing me what it's like to be a godly spouse. Trust me - I do NOT have this figured out yet. But I do feel like I'm working towards it more than I ever have before. 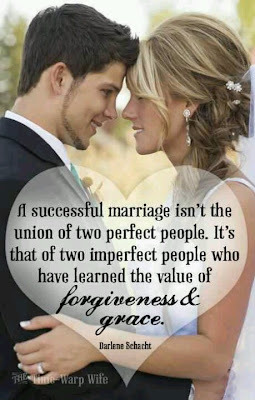 This quote sums up for me what it takes to have a successful marriage: forgiveness and grace. Quite frankly, the easy parts of marriage are just that: easy. 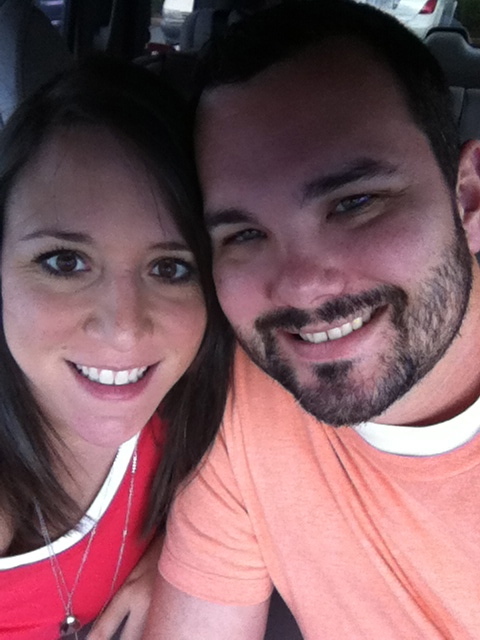 It's easy to have a good marriage when things are going great. 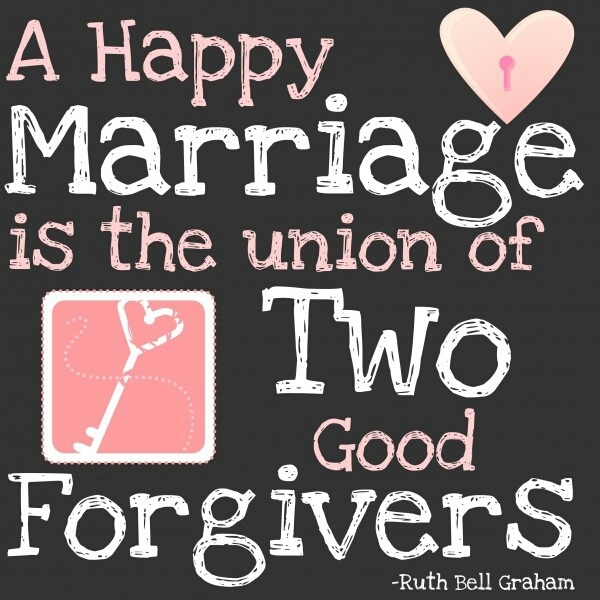 It's easy to have a good marriage when you don't have a lot of stresses in your life. It's easy to have a good marriage if you just push the "hard stuff" to the back and try to not deal with it. 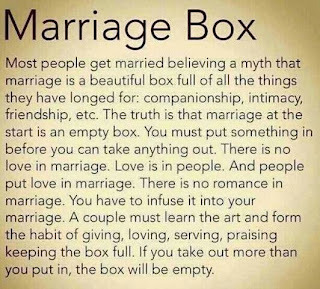 But that's not what REAL marriage is all about. Real marriage is understanding that both of you are going to mess up. And both of you are going to make mistakes. 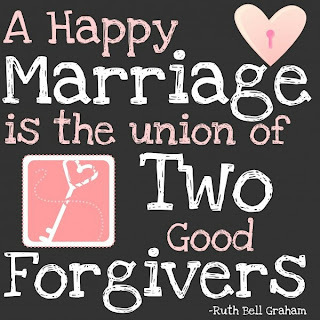 And at some point, both of you are either going to need to have grace and forgiveness given to you, or you're going to have to show grace and forgiveness to your spouse. 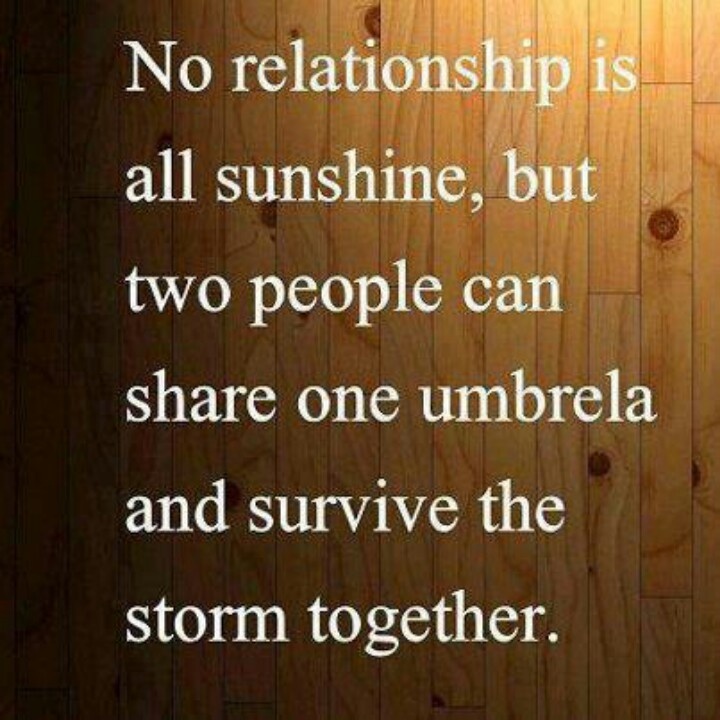 Working through those hard times and coming out on the other side together - that's what marriage is really all about. So I'm proud to sit here and say that, after 9 years, we're still going strong. We're both not perfect. We both have some things to work on. But we love each other. We're crazy about each other, still. 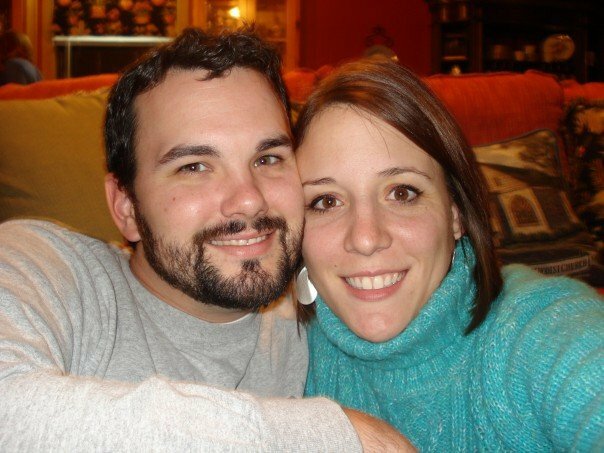 I married the man of my dreams 9 years ago, and he's still the man of my dreams today. I do know that it was the best decision of my life, and I'd make it again in a heartbeat. I can't wait to see the good parts and the bad parts of the next year. 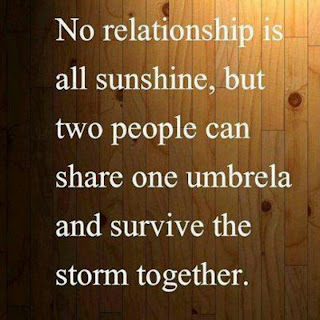 We'll celebrate in the good and grow closer in the bad. LOVE this post! Thank YOU for being such a wonderful example of ME! I'm thankful you are "older and wiser" in your marriage journey :) I learn so much from you and am so in aw of the amazing Godly wife and woman you ARE! LOVE YOU!!!! Happy Anniversary!